Do you love incorporating math and literature? 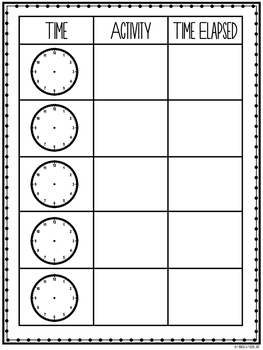 Help your students grasp the tricky skill of elapsed time with this paired literature activity. 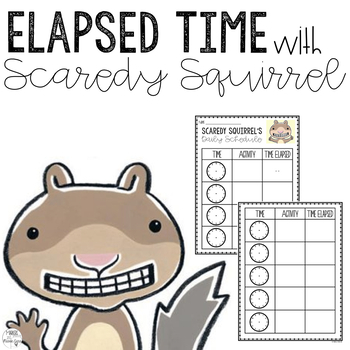 This product should be used after reading Scaredy Squirrel by Melanie Watt (the first book). 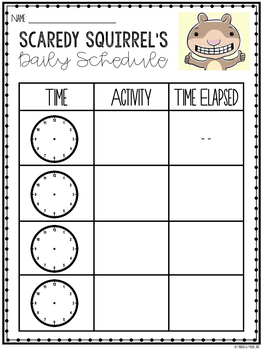 Students will invent their own activities for Scaredy to complete during his day, with times for each. Students will then have to figure out how much time has passed between each activity. This template is set up just like the book, so teachers can refer back to the book to easily model for students before they complete it independently.